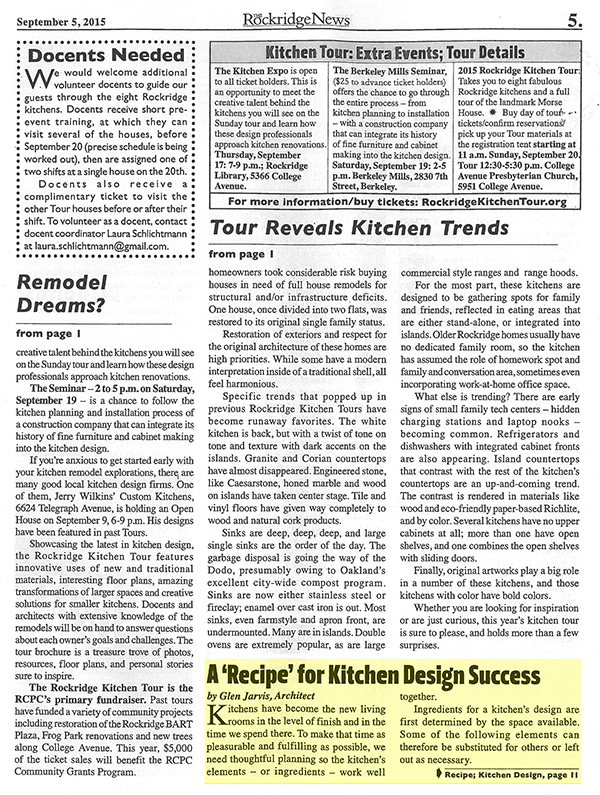 Glen Jarvis’s A ‘Recipe’ for Kitchen Design Success was published in the September 5th issue of the Rockridge News. In the article, Glen shares insightful tips for designing one’s own dream kitchen, with an eye for important considerations such as the continuity of countertops and the orientation of breakfast tables towards good windows. 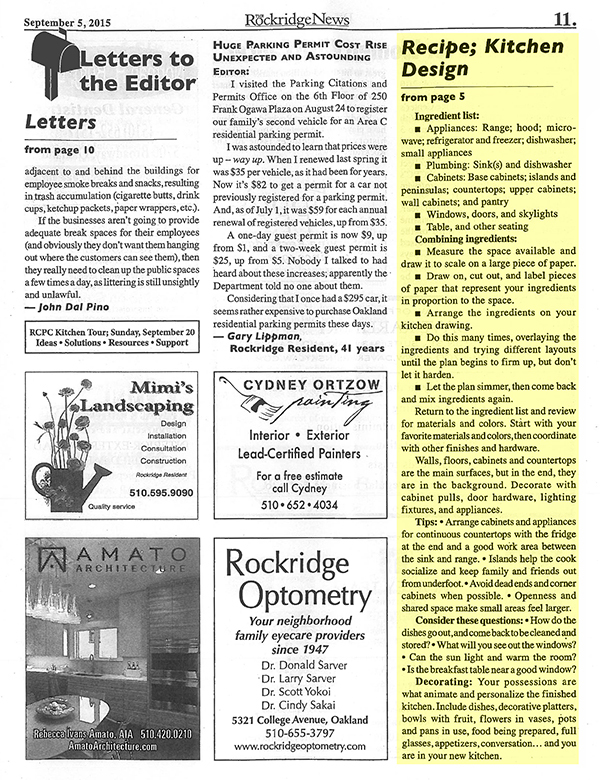 Find the issue at local newsstands, or read the excerpt below!